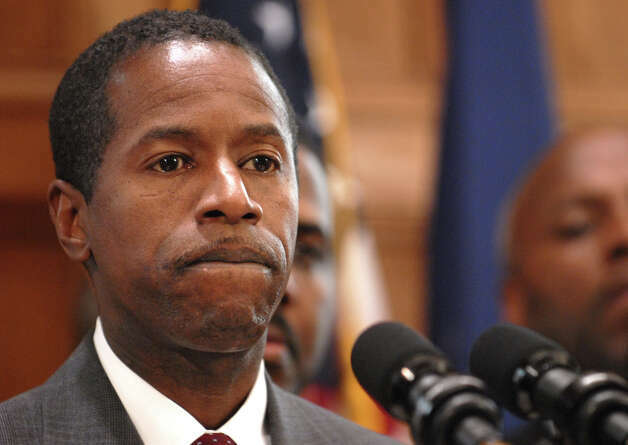 Earlier this month, a prominent Democrat State Senator, Malcolm Smith, along with a Republican city councilman and a pair of of GOP operatives were arrested in a massive bribery scheme aimed to get Smith on the Republican mayoral ballot, and rigging the election. A new campaign flyer which was tweeted out yesterday however, seeks to reassure his constituents that Smith is definitely anti-crime. Democratic New York State Senator Malcolm Smith, who was arrested earlier this month for allegedly orchestrating a bribery scheme to secure himself the Republican Party line in this year’s New York City mayoral election, published a rather awkward flier featuring a picture himself under a giant “NO CRIME” logo. Smith pleaded not guilty to the charges against him Wednesday. His flier was made to advertise an anticrime meeting in his Queens district where residents will be able to meet with local police commanders.